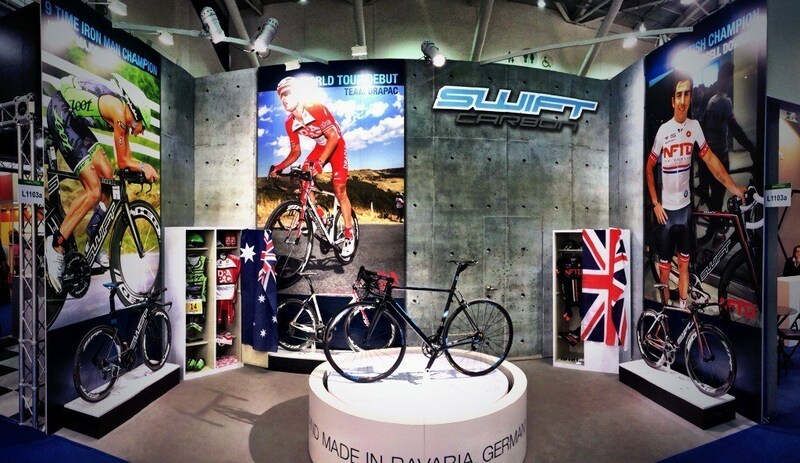 SwiftCarbon announced this week, plans to open up distribution in the USA. The company’s president, Mark Blewett, indicated that Swift will soon begin distribution through its new office based in Reno, Nevada. Blewett founded SwiftCarbon in 2008, and the company currently offers 17 bike models including road, time trial, triathlon and mountain bikes. In addition, the brand also sponsors the Australian-based UCI Pro Continental team – Drapac Pro Cycling. “The highest quality materials and craftmanship, and an unbeatable ride feel — these are qualities that set SwiftCarbon frames apart from the field,” said Robb Wolf, Swift USA’s national sales and marketing manager. “We are thrilled to bring the brand to the USA. The Colorado-based Backbone Media has been hired to help promote the brand on these shores. “SwiftCarbon has built a strong reputation internationally for building beautiful bikes with the best performance-to-value ratio available … SwiftCarbon has tremendous opportunity for growth and success; we’re excited to introduce the brand to the American market.” said Backbone Media’s PR director Ian Anderson. Hopefully for us road bike fanatics, this means we’ll get to see SwiftCarbon’s ultra high end road frame – the SCULP. Made entirely in Germany, in partnership with the exclusive AX Lightness brand, the SCULP is quite possibly the ultimate expression of carbon fiber engineering. Dig !